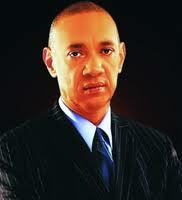 Ben Murray-Bruce-led Silverbird Group wants to build the tallest building in Africa, a 64-story building called the Silverbird Stratosphere. It will consist of a shopping mall, a five star hotel and much more and it will be located in Banana Island, Lagos. May God give them the economic power to be able to bring this into completion. Errrrr, is that what they want to use the $200 million Goodluck gave the entertainment industry trusted in their hands for? SMH!!! What I heard him say on TV the other day was Abuja n not Lagos except maybe he has plans to build two of them. oga bruce. stop dis yeye gragra wey u dey do wit stella obj's money. na u work am? u beta cool dwn cos d otta guerilla is still alive. What sort of ridiculous name is Stratosphere? "I'm going to the Stratosphere". "I'm going to the Strat(?)". That short form sounds like a word for poop. Lol. They better make sure that road to Banana Island is on good order before they start causing traffic there o.
go ahead,its still our money,we knw hw its goes.